“The bishops of the United States in Christian solidarity share the sufferings, misery, and fears of their brother bishops, the clergy, the religious and the faithful of all the war-torn countries of Europe… They recall how centuries ago the Western Slavs, later joined by the Lithuanians, associated themselves with the peoples of Europe in weaving and embellishing the fabric of Western Christian civilization. History records their heroic exploits in the defense of the West against Tartar and Moslem. Mighty tyrants enslaved them and even in their shackles they fought and bled in the sacred cause of freedom. Never losing their identity, they chose ever to shed martyr blood rather than deny or dilute their Christian Faith. 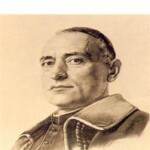 Cruel, inhuman aggressors are now heaping upon them frightful atrocities and unprecedented barbarities… To them the bishops of the United States, with their clergy and people, extend deep sympathy with the prayerful hope that the strong, victorious nations in charity and justice will give them succor in the sufferings and the full enjoyment of their indisputable rights. “Let us call the roll of the nations in which persecution of the Church now rages: Russia, the Ukraine, Yugoslavia, Hungary, Rumania, Bulgaria, Albania, eastern Austria, Czechoslovakia, Poland, Latvia, Estonia, Lithuania, eastern Germany, Mongolia, and China and northern Korea. This was also a time when the United States began to see its legal system turn away from the Church, systemically, beginning with the 1947 Everson v Board of Education case in which the Supreme Court described a “wall of separation” between church and state, a concept and language that would be used to bludgeon Christian ideology from the public sphere. Nowadays in America, the beginning of the Christmas season is only truly upon us with the first news story about a township kicking Nativity statues off the city hall lawn. Europe, seemingly spent of all moral and Christian vigor, has only preceded us in decline. It’s become a common, and in my opinion not unfounded, theme to discuss our own martyrdom at the hands of the atheistic uber-state or Muslim terrorists, while an impotent society looks on. Are you ready for martyrdom? Am I? NOTE: The first of those churchmen mentioned above, Cardinal Mindszenty, was a stalwart defender of the Church in Hungary against the Nazis and then the Reds, and he was punished with imprisonment. During the 1956 Uprising, he was freed long enough to be taken into the American embassy before the Soviets could arrive to restore order. The BBC account of the cardinal’s dramatic rescue and defense by U.S. Marines (and 15 year sequester in the embassy) is worth a quick read.